Prof. Mesut İktu was born in Ankara and received his first musical education at Ankara State Conservatory. After studying flute for a period of time, he changed his major to singing. During his extensive education, he worked with such teachers as Eduard Henidrichs, Saadet Ikesus Altan and Afro Poli, with whom he completed his studies in the Advanced Opera Division. In the same year, he won a State Scholarship to attend the “Hochschule der Künste für Musik” in Berlin, Germany where he studied singing and opera performances with Prof. Herbert Brauer and put interpretation with Prof. H. Schmith Rhein and Prof. Gerhard Puchelt. 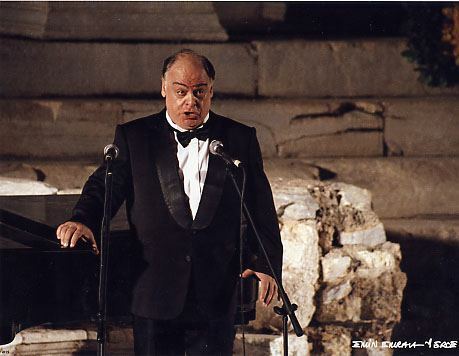 Mesut Iktu received critical acclaim in Turkey and abroad for his voice and his wide range of vocal spectrum which was displayed through his vocal symphonic concerts and recitals as well as opera performances. He performed in a wide variety of operas including which The Barber of Sevilla (as Figaro), The Magic Flute (as Papageno), Rigoletto (in the main role), Othello (as Jago), La Boheme (as Marcello) and King Midas (in the main role); he received the highest acclaims for his performances of Figaro, Papageno and Jago. 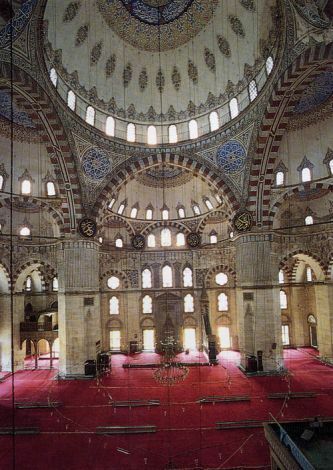 He performed some of Gustav Mahler’s works in Turkey with different Symphony Orchestras. He recorded and appeared in a variety of programs on Turkish Radio and Television (TRT). Mesut Iktu is especially keen on introducing the world to the works of Turkish composers through his concerts. In this endeavor, he performed the world premier of the “Five Tunes” for Baritone and Orchestra, a work specially arranged for him by A. Adnan Saygun. He performed many concerts and recitals at famous art centers in Germany, Romania, Georgia, USA, Italy, Yugoslavia, Bulgaria, Ethiopia, Kenya, Belgium, Russia, Czechoslovakia, Poland, Greece, Brazil and Norway, and also participated in a large number of international music festivals. As a recording artist, Mesut İktu has recorded CDs of well-known opera arias with the Bilkent Symphony Orchestra, and led with piano accompaniment. These CDs were compiled and released by the Sevda-Cenap And Music Foundation. İktu, a soloist at the Istanbul State Opera and Ballet, later became its manager and art director during the period of 1987-1991. He was reappointed to this position in 2001 and remained director until 2003. Prof. Mesut İktu, Chair of the opera department at Mimar Sinan Fine Arts University, State Conservatory, has been subsequently appointed as Principal in 2004. He has also been teaching Voice and Turkish diction since the Conservatory’s establishment. Along with these teaching positions he also teaches courses at the Faculty of Stage Design and Art Management in Kultur University.